The goal with insulation is simple: to make a home more comfortable and energy efficient. But with so many products available on the market today, how do you know which one is right for your particular project? This article discusses EPS vs. XPS vs. GPS. 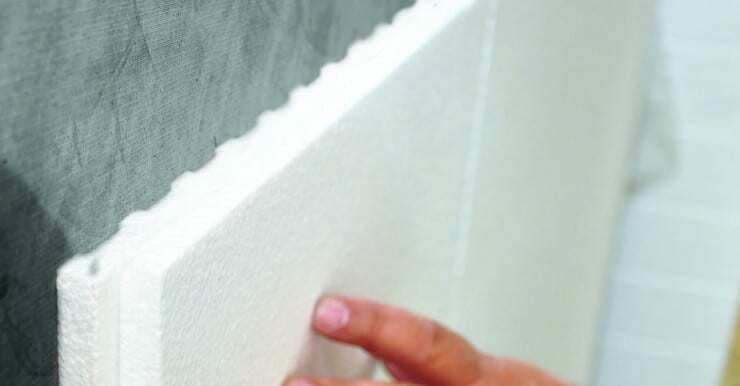 Rigid Foam - Outside walls of homes and below grade. Spray Foam - Sprayed into the wall cavity, typically in new construction before drywall. Fiberglass Batt - Rolled into the wall cavity between studs, typically in new construction. 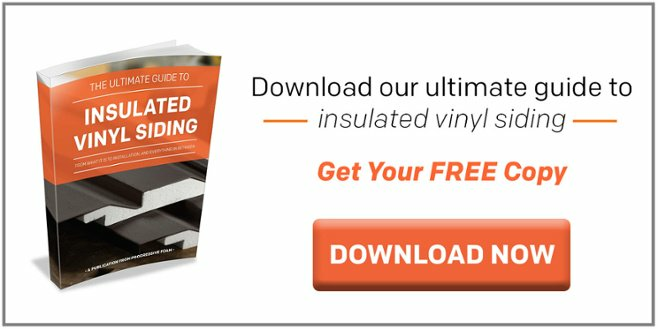 Blown In Cellulose - Popular in remodeling projects; holes are cut in the wall to fill the cavity with insulation, or it is sprayed into the attic. Although adding insulation to a home can reduce sound transmission and create a quieter interior, rigid foam insulation is not intended for sound dampening. 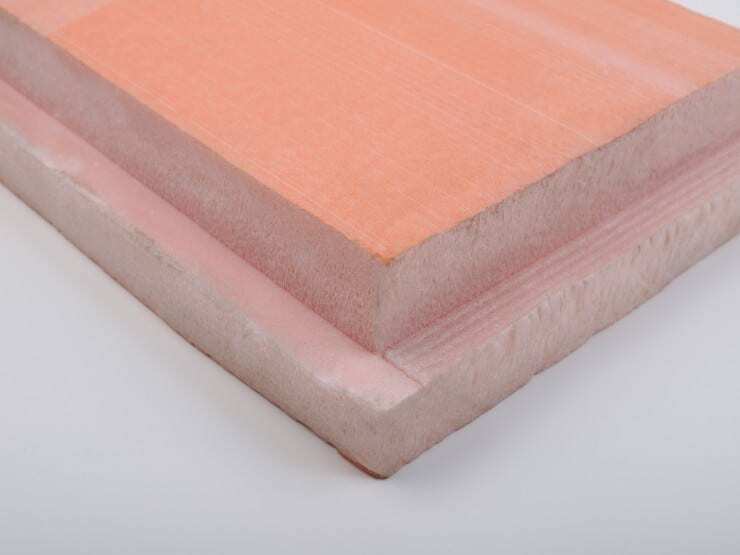 Open cell insulation products are better suited for reducing sound transmission, while closed cell insulation is better for providing insulation value. The video below explains the main differences between EPS, XPS and GPS. Expanded Polystyrene Insulation, more commonly referred to as EPS, is a closed cell insulation that has been around since the 1950’s. EPS is made of 98% trapped air and only 2% plastic, making it an efficient insulator with a small amount of raw material. EPS begins as tiny beads of polystyrene, which look like grains of salt. The beads are sent into a mold and expanded many times their original size using steam and pentane until they completely fill the space. Although typically white in color, EPS can feature additives such as colorings or pest deterrents. If the mold is in the shape of the final product, then the part is removed from the machine and the process is complete. More commonly, beads are molded into a large rectangular block and then cut into the final shape using hot wires. From there, EPS insulation is then packaged and shipped, or sent through another machine that adheres plastic film facers to the foam. Depending on the particular film used, it can provide enhanced rigidity, reflective properties, printed installation lines and more. Most EPS insulation manufacturers print their brand name and important product information on the film. What are the key features of EPS? In addition to providing energy efficiency, EPS without film facers has a perm rating of up to 5.0. A perm rating is the measure of a product’s ability to let water vapor pass through it. 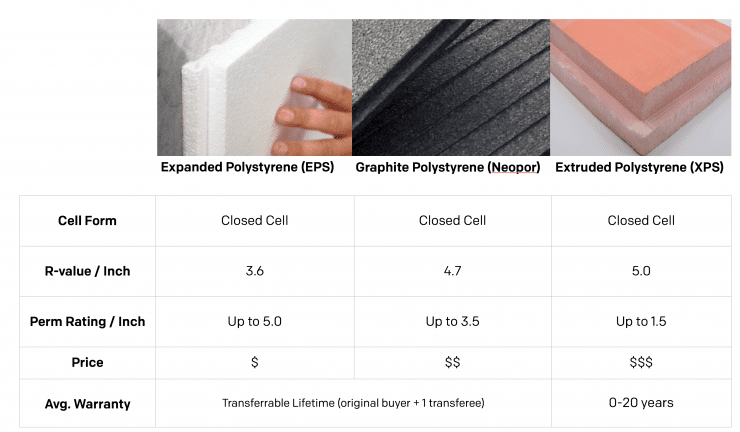 When it comes to cost, EPS typically has the lowest price tag of the three insulation types outlined in this article. Expanded Polystyrene, referred to as XPS, is a closed cell insulation product commonly used in remodeling and new construction applications. 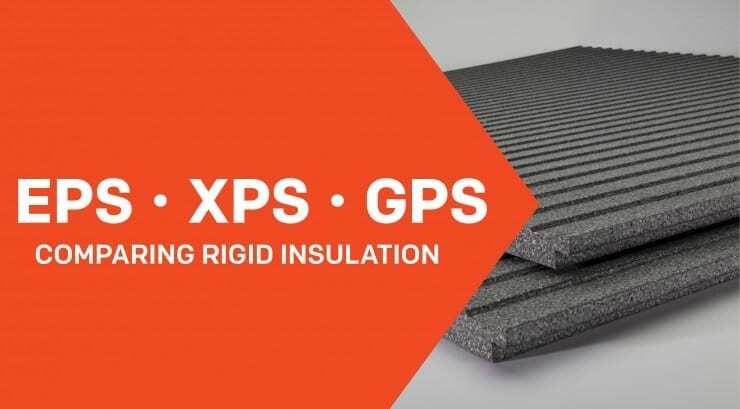 Due to the manufacturing process, XPS insulation is typically available only in standard dimension square or rectangular boards. Brands of XPS are generally recognizable by the color of the insulation: blue made by Dow, pink made by Owens Corning, green made by Kingspan, etc. XPS insulation begins as polystyrene crystals, which are combined with special additives and a gas blowing agent. The materials are fed into an extruding machine, where they are blended and melted into a thick liquid. The liquid is processed through a die, expanded into foam, is shaped, cooled, and finally, trimmed. What are the key features of XPS? Just like with EPS, energy efficiency is the primary feature of XPS insulation. Due to its physical properties, XPS has a higher r-value than EPS at 4.7 per inch. In the past, XPS manufacturers were able to claim r-values closer to 5.0 per inch. However, the blowing agents used in the manufacturing process were known to deplete overtime, reducing the insulation value. Manufacturers are now reporting the Long Term Thermal Resistance (LTTR) of their XPS products to account for the reduction in r-value over time. XPS provides increased stiffness and rigidity, making it suitable for use on roofs, below grade, below slab, and other applications. Graphite polystyrene insulation, or GPS, is made from Neopor beads, patented and manufactured by BASF. Neopor gives GPS insulation a dark gray appearance and higher r-value than traditional EPS insulation products. Click here to learn more about Neopor. Similar to expanded polystyrene, GPS can be formed into many different shapes during the manufacturing process. Although GPS is relatively new in the United States, it has become the leading form of insulation in Europe over the last few decades. Neopor beads are sent into a mold and hit with steam and pentane until they expand to many times their original size and fill the space. Because Neopor is naturally a dark grayish black color, color additives are typically not used. Once the molding process is complete, the blocks of insulation are then aged and cut into the final shape using hot wires. Plastic film facers can also be adhered to the foam to provide more rigidity, reflective properties, installation guides, and more. Since the manufacturing process is very similar to EPS, some manufacturers produce both EPS and GPS. This generally requires some additional equipment to avoid cross contamination between the two types of insulation. What are the key features of GPS? The key feature of GPS (Neopor) insulation is the r-value of 4.7 per inch, which is achieved thanks to the high purity graphite that is infused in the cell structure of the insulation. Traditional EPS provides energy savings due to the trapped air pockets in the insulation, which slows down warm air as it moves towards cold air. This is what gives it an energy efficient property. As radiant heat moves through GPS insulation, it is reflected hundreds of times along the way thanks to the graphite particles, significantly slowing down the transfer of heat and making the insulation more energy efficient. When certain types of plastic facers are applied, the GPS can feature an r-value of up to 4.9 at one inch. GPS insulation is more expensive than EPS due to the increased energy savings, but typically less expensive than XPS insulation. Depending on your particular application, EPS, XPS, or GPS insulation could be right for your project. Cost, availability, and certain performance features can all impact your decision. Luckily, regardless of which product you choose, adding insulation to a home is always a great investment. We recommend selecting the product that will provide the most value for your investment. If you’re installing insulation under a new roof or below slab, XPS can be an effective solution. If your insulation needs are for side wall applications before siding is installed, we recommend using a contoured EPS or GPS insulation that not only adds insulation, but also provides durability and lasting support to the siding panel.